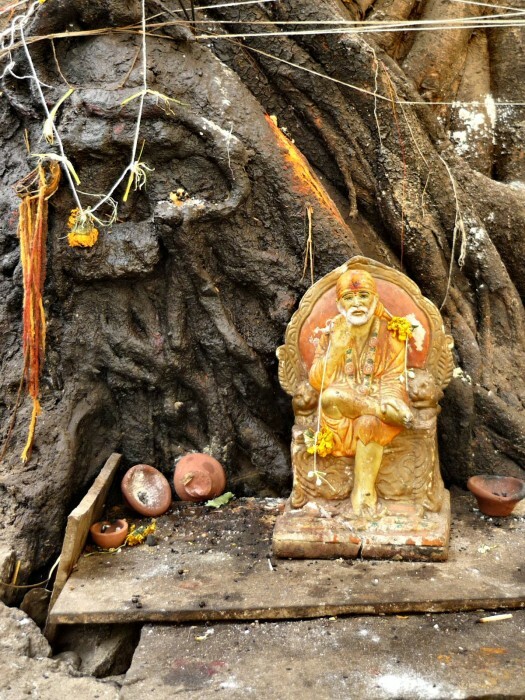 Saibaba worshipped on a busy street at the base of a banyan tree. Sai Baba is worshipped by people around the world. He had no love for perishable things and his sole concern was self-realization. He taught a moral code of love, forgiveness, helping others, charity, contentment, inner peace, and devotion to God and guru. He gave no distinction based on religion or caste. One of his well known epigrams, “Sabka Malik Ek” (“One God governs all”), is associated with Hinduism, Islam and Sufism. He also said, “Trust in me and your prayer shall be answered”. He always uttered “Allah Malik” (“God is King”). Previous story Do You Know Why Lord Ganesha Has A Half Broken Tusk (Tooth)?